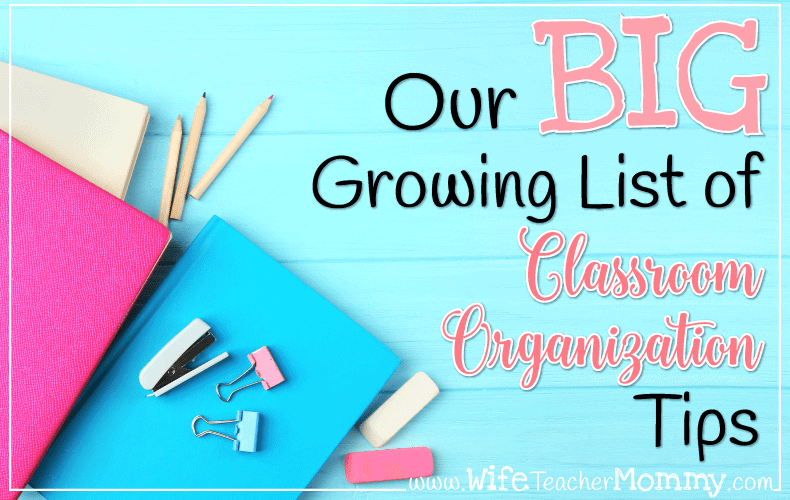 Classroom Organization Tips: Our Big Growing List! 1. Make your own lesson organizer. 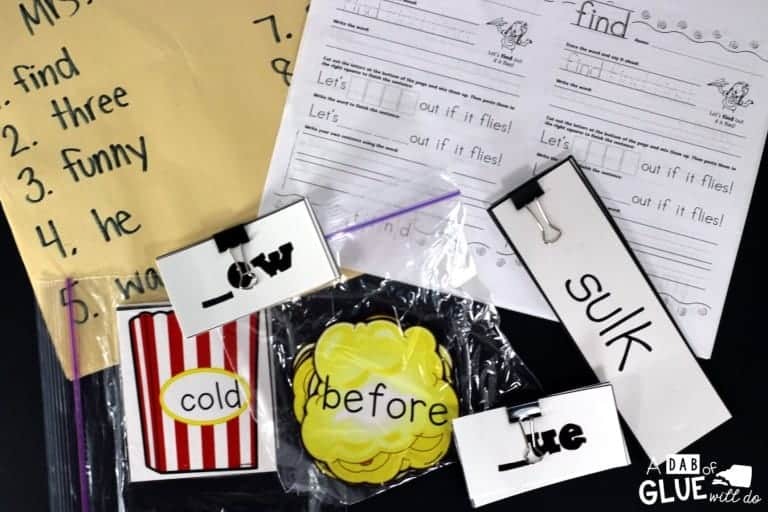 – With just a cardboard box, some washi tape, and labels, you’ll have an inexpensive way to organize lessons for every day of the week. 2. Order organizational tools on Amazon. They’ve got pretty much everything you need, and nothing beats free prime shipping! Saving time and money is always a win-win. Want to see all of our FAVORITE organizational tools on Amazon? 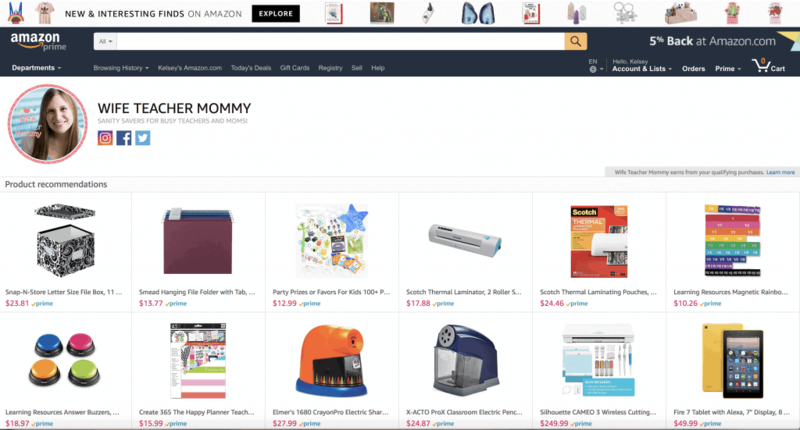 Check out our Amazon Teacher Shop! 3. 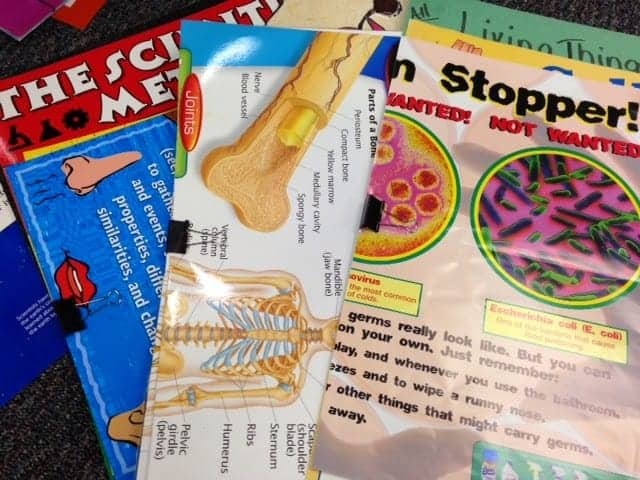 Organize your posters.- Get rid of the creases and mess of multiple topics with blank binder clips, labels, and folders. This is a great tip for classroom organization! 4. 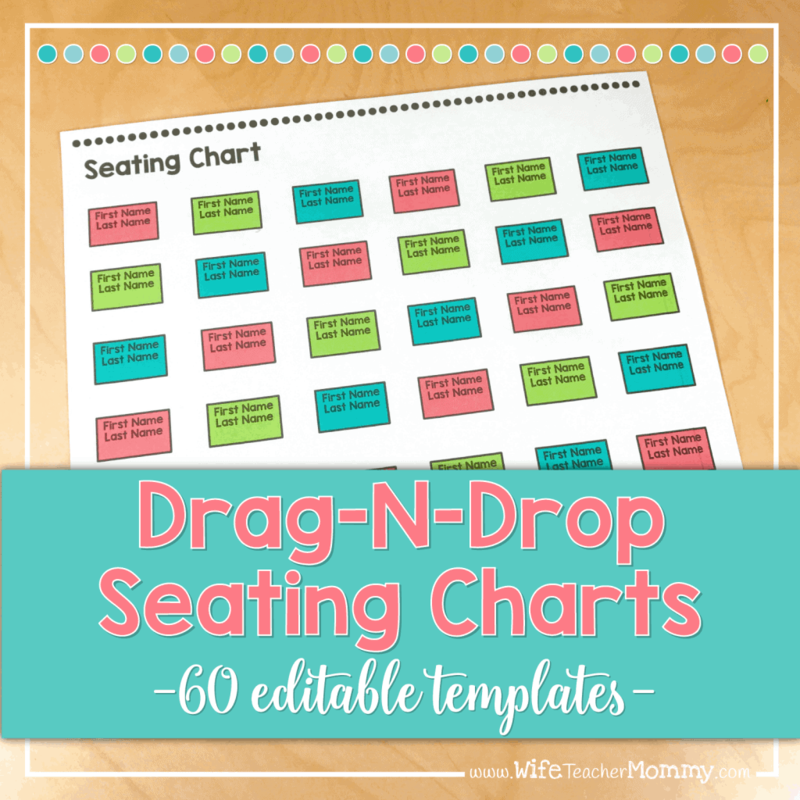 Use drag-n-drop seating charts. 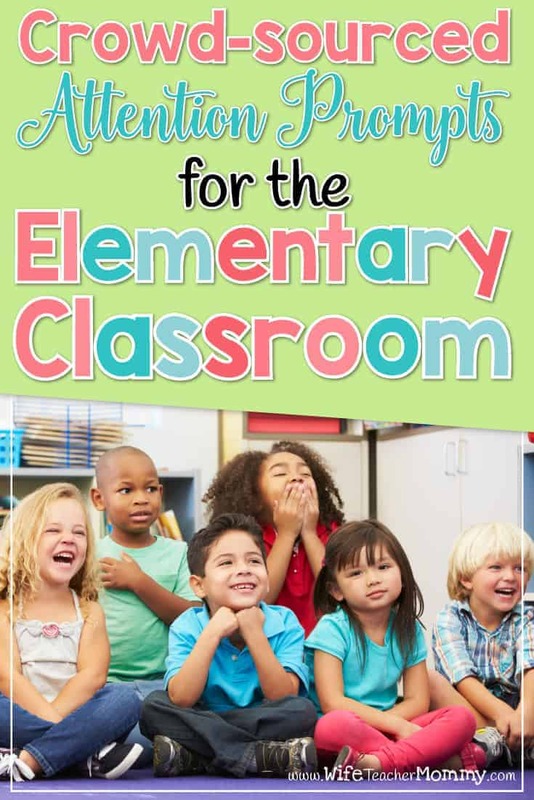 – You might start your year with an alphabetical seating chart to memorize names easily, but to change it up for differentiation and behaviors, try this simple template and these clever tips! You’ll have your class organized in no time. 5. Organize your school supplies. Try using toolboxes for each student, household supplies, and bookshelves to set up a system to keep your classroom supplies in order. Check out these six tips to get started. 6. 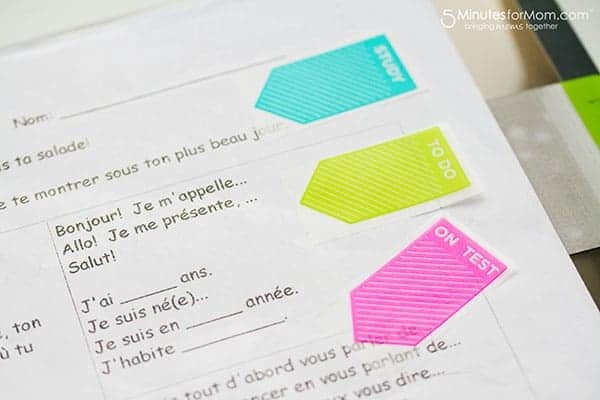 Use sticky notes.- This is another great classroom organization tip. Use post-its of different sizes to put together school binders that will keep you and your students organized year round. 7. Put together a Substitute Binder. It will save you SOOOOOO much time to get this organized and ready to go so it’s ready whenever you need it! 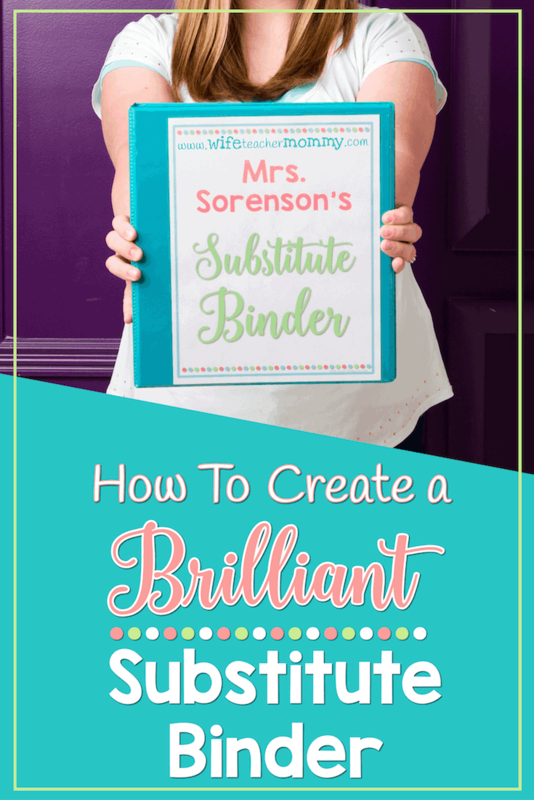 You can see exactly how I organized my sub binder as well as grab a FREEBIE to get started in this post below! 8. Organize Language Arts materials. 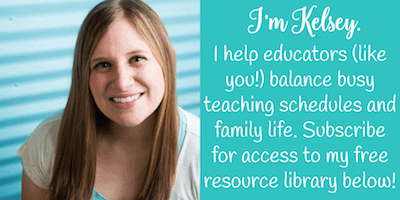 -Organizing all your student’s lessons for Language Arts doesn’t have to be a challenge. Put the work in up front to have your year organized from day one. 9. 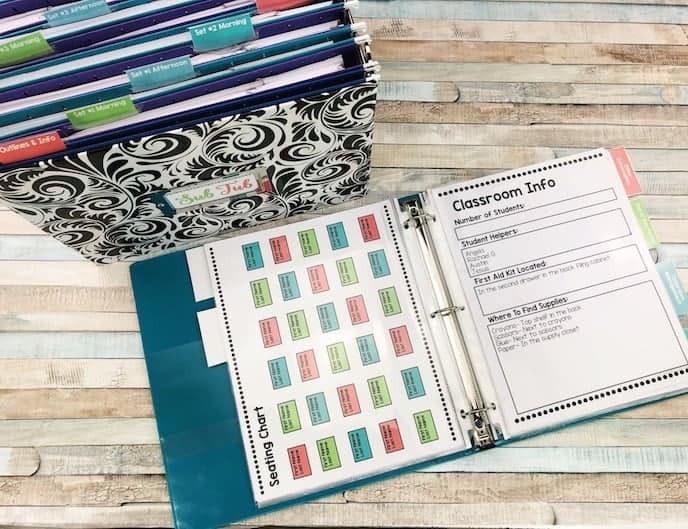 Try a teacher planner.- Classroom organization would not be the same without a planner! Keep everything from lesson plans to student health information and birthdays in one easy to use teacher planner. 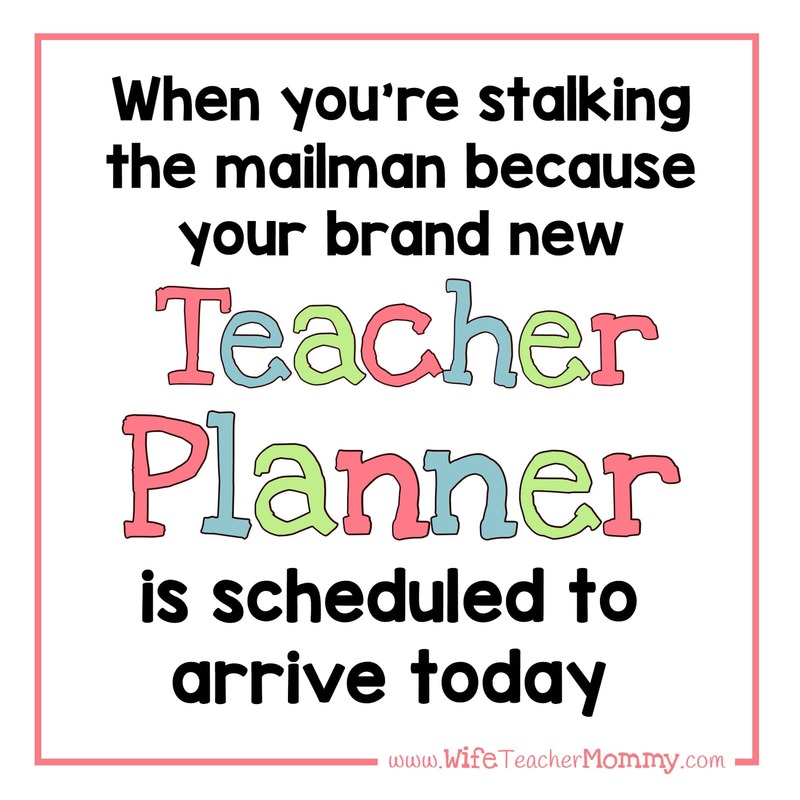 Some of our favorites are the Create 365 Happy Planner Teacher Edition, Erin Condren Teacher Planner, and the Plum Paper Teacher Planner. 10. 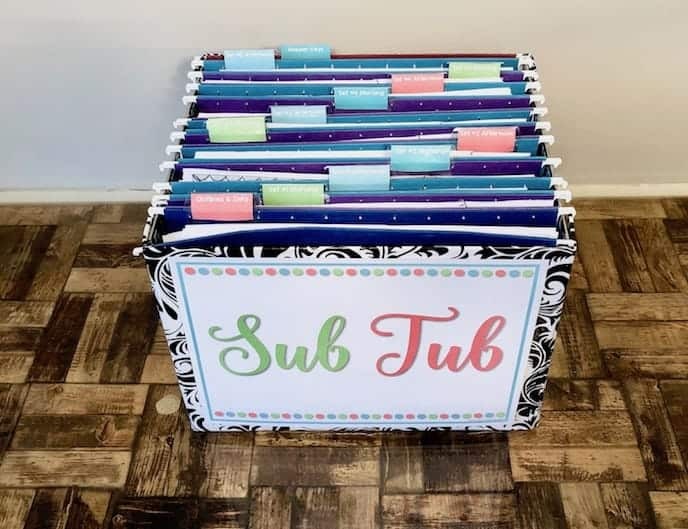 Have Ready To Go Sub Plans and Get Them Organized in a Sub Tub! – Take the stress out of making sub plans by having them ready and waiting with easy to follow guides before you even plan on being gone. 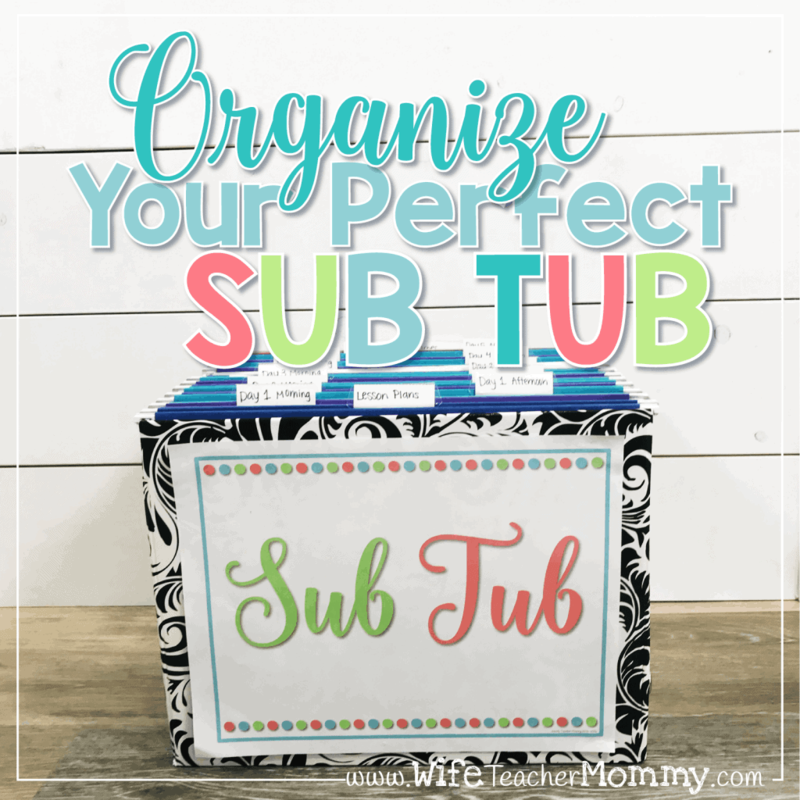 You can organize them in a sub tub just like I did in this picture! 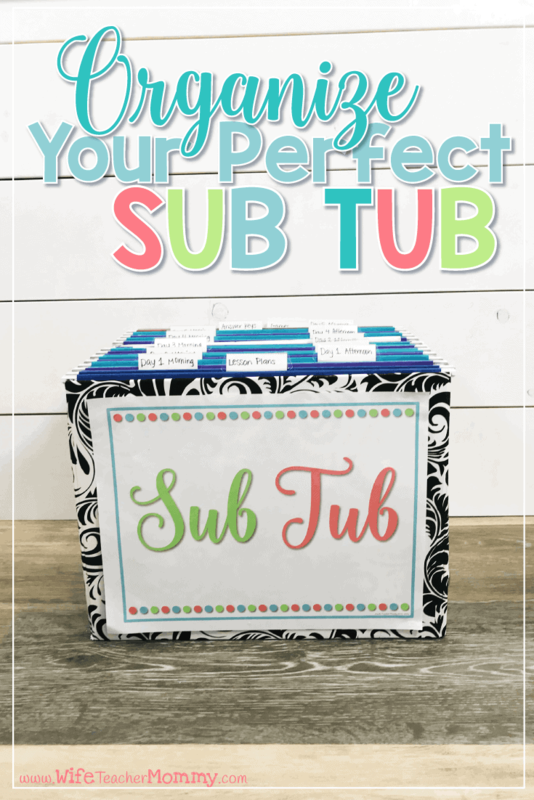 You can read even more about how I organized my sub tub here. 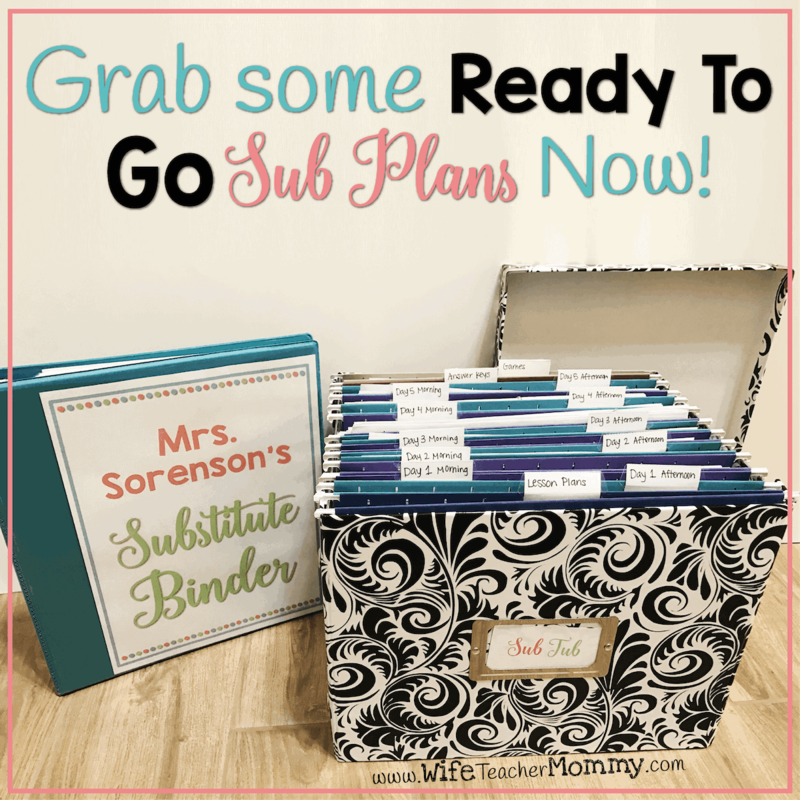 You can also grab some Ready To Go Sub Plans here! I also often get asked where I got my adorable container for my sub tub. I bought that on Amazon here. 11. Use Google Classroom.- If you’re in a Google Apps for Education school, putting the daily agenda and uploading assignments to Google Classroom will give students easy access to their work to complete and turn in. 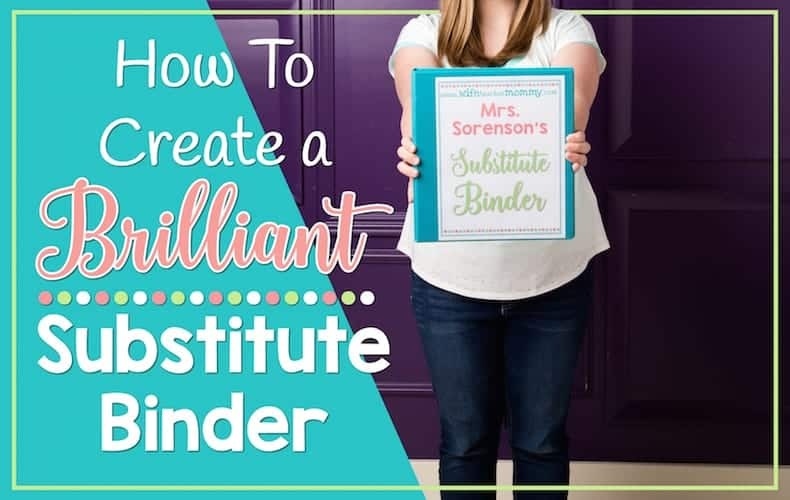 This is especially handy for when you have a sub or if students are absent. 12. Plan units ahead.- You work so hard. Why reinvent the wheel when there are wonderfully written unit plans you can use or adapt for your classroom? Start the year off with these plans to get organized and save time for the good stuff: building relationships with your kids! 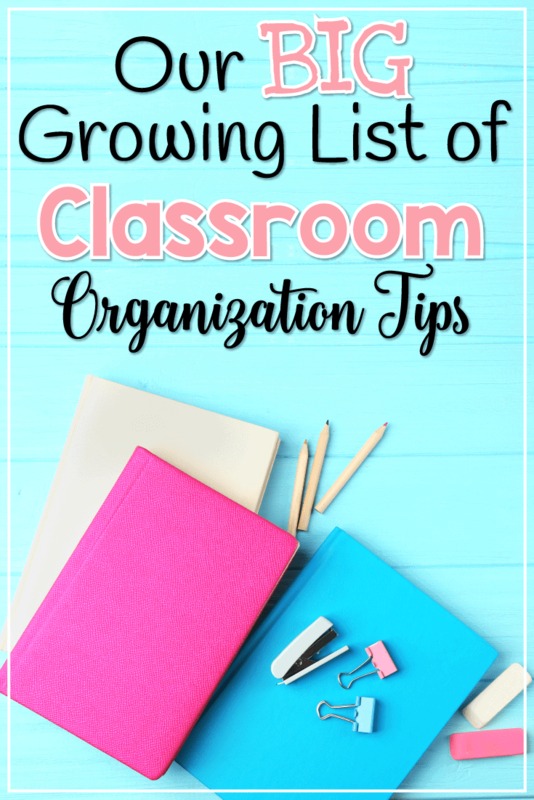 Get ready to start a new school year off right with these 10 classroom organization tips that are certain to leave you feeling ready to conquer you content and classroom. We’ll continue adding new tips to this post every so often as well, so be sure to check back! These tips will help you get organized before the Fall so you can focus on getting to know your students and not day-to-day management. 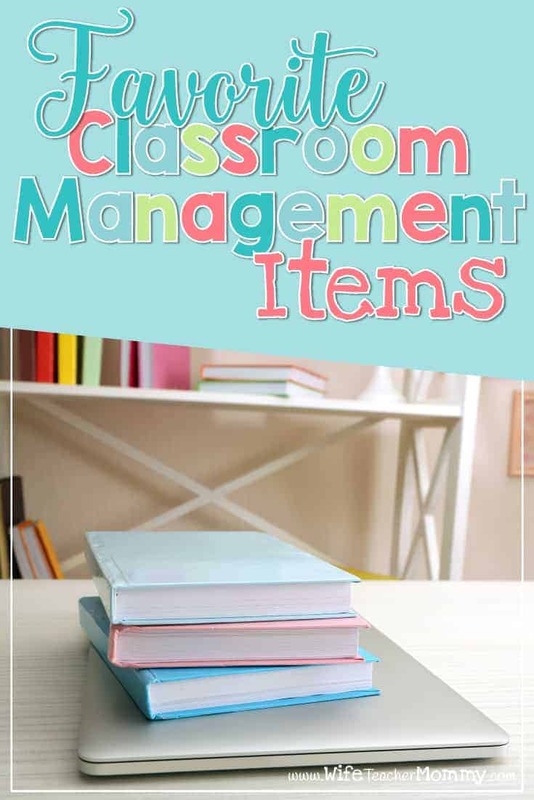 Classroom organization freebies to get organized! 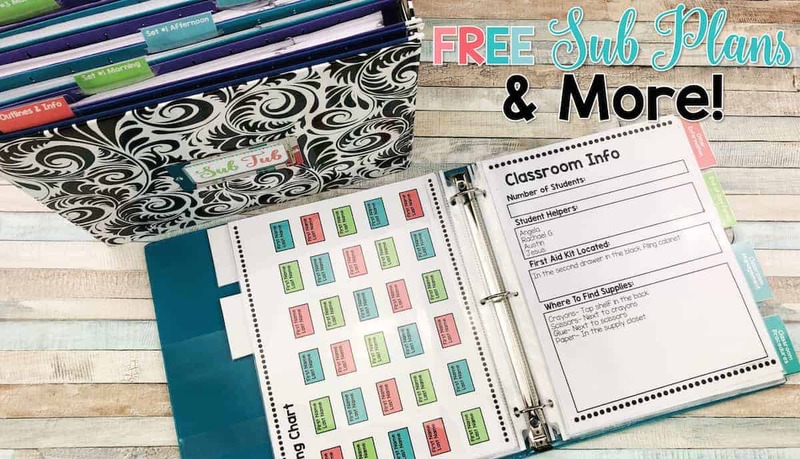 And last, but certainly not least, be sure to sign up for our free resource library for editable sub binder forms, sub plan lessons, seating chart pages and more to help you get organized as well! If you’ve already signed up, click here to go to the library now and enter the password that you received in your email. 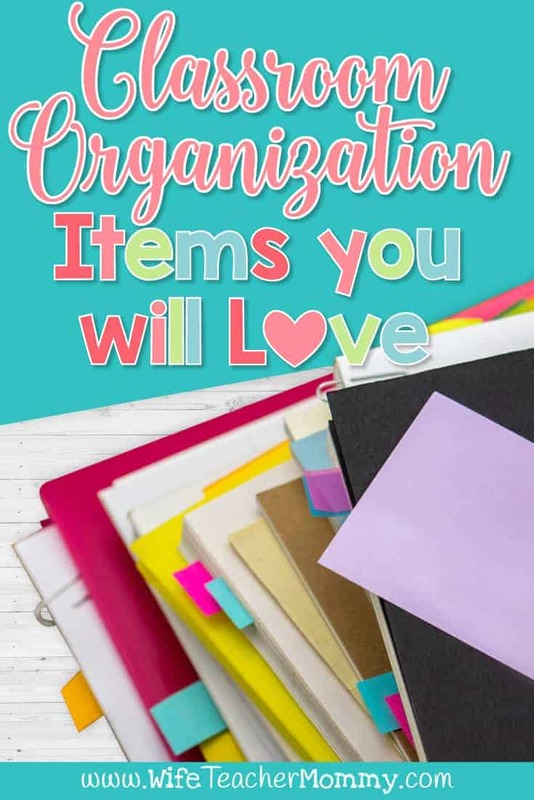 Staying organized this school year doesn’t have to be a chore with these fun, inexpensive favorite classroom organization items. Stock up before your year starts to keep things arranged and stress-free!